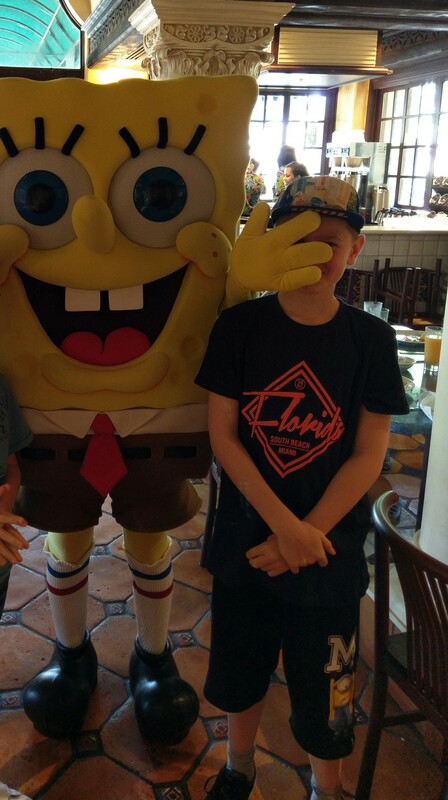 Our first morning in Florida we were faced with a difficult decision – go shopping for breakfast or eat breakfast with SpongeBob and the Minions. Clearly we chose the latter! As we walked through Universal City Walk towards the park we all got that magical “we have arrived” feeling. It’s hard not to! After getting through the ticket gates we set off to find Café La Bamba, stopping only for a quick picture with Hello Kitty as there was no queue. We were greeted with a smile and had to wait two minutes to be led to our table. 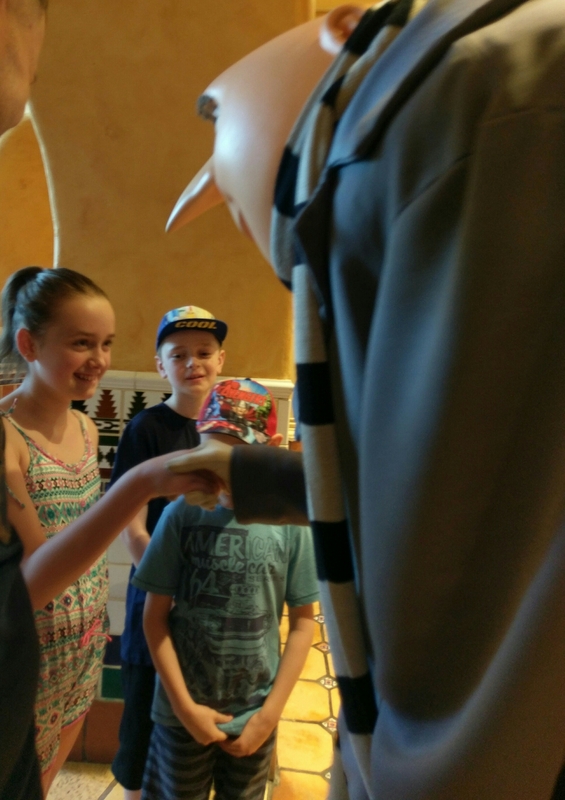 While we were waiting Gruel from Despicable me came over to say hello. We were led to our table and drink orders were taken. The restaurant is buffet style so you can help yourself to food. There wasn’t a huge selection of food but there didn’t need to be. The food was delicious and we filled up on as much as we could eat. I especially liked the grilled grapefruit whilst for the kids, the favourite was the sausages. 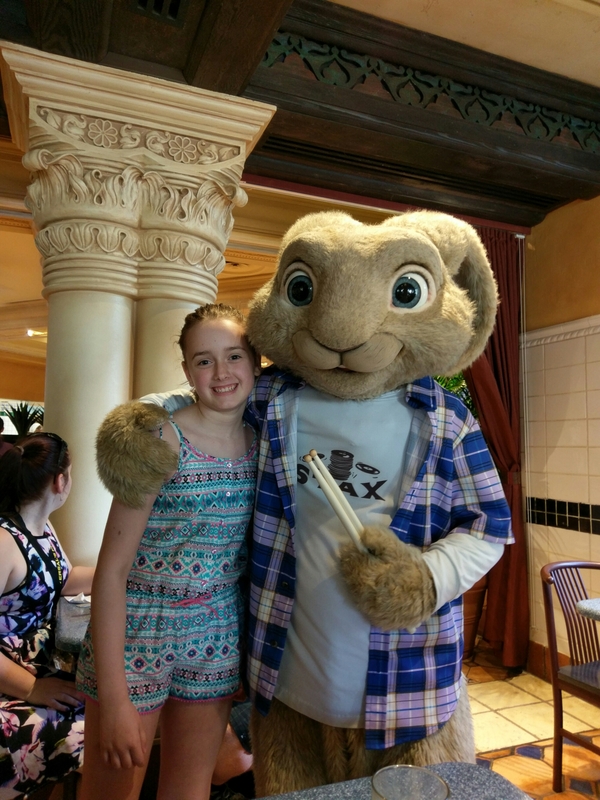 The breakfast isn’t just about the food though, different characters come to your table to interact with you and allow you to take pictures with them. 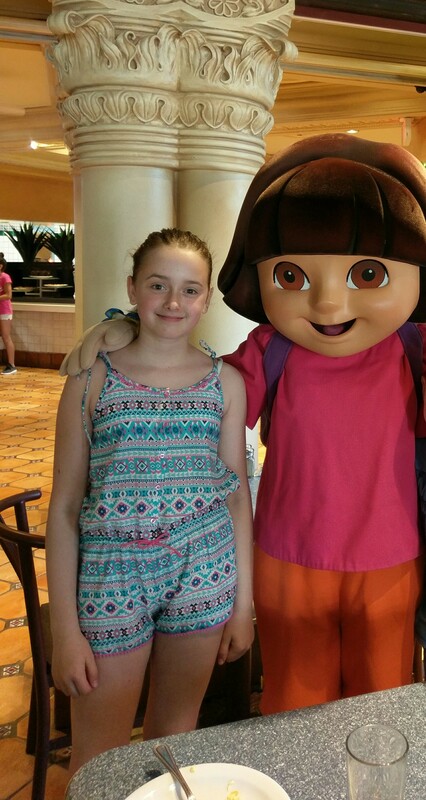 We met characters from Hop, Despicable Me, SpongeBob, Dora the explorer and Diego. 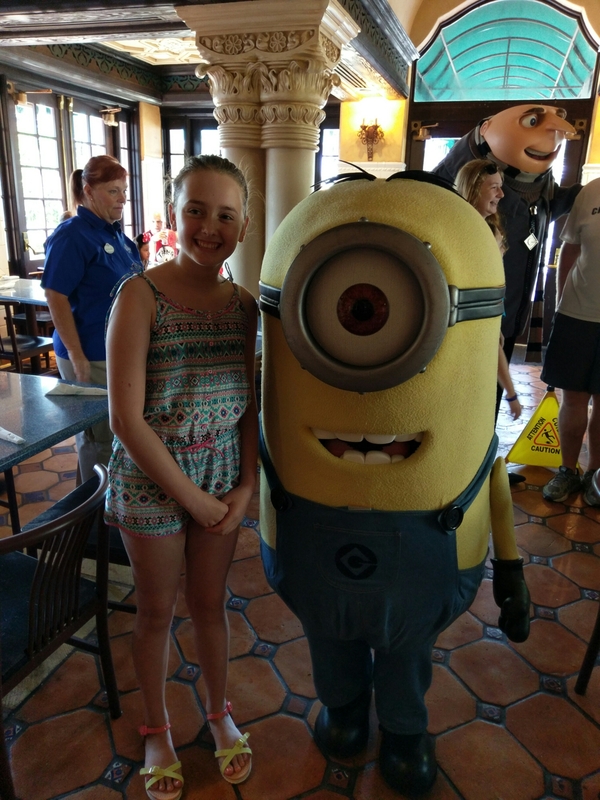 Our favourite characters were definitely the minions, they were true to their character, and spent a lot of time making the kids laugh. We really enjoyed our breakfast experience at Café La Bamba. It was a great way to start our holiday and also our day at Universal Studios. 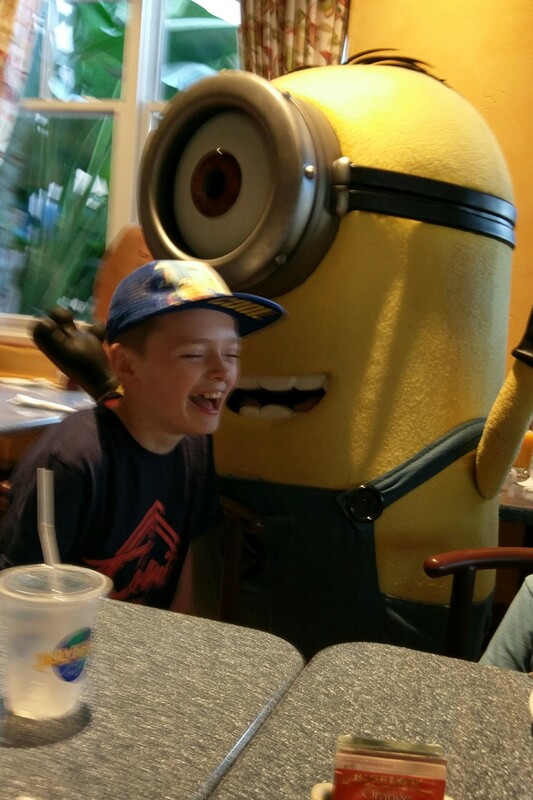 Universals Superstar Character Breakfast at Café La Bamba with a child with autism? There is a small wait before you are taken to your table but characters interact with you during this time. The restaurant does not feel too big as it is split into two areas. 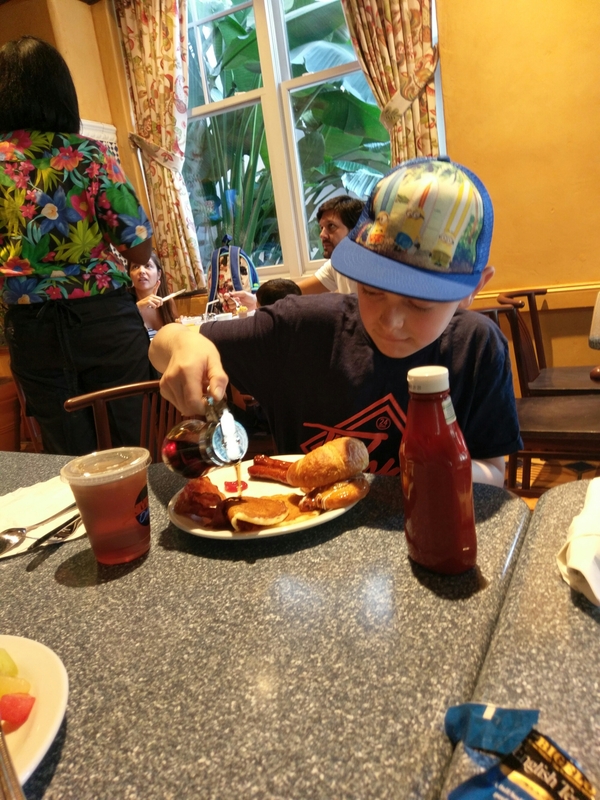 The food is buffet style so fussy eaters can choose their food. The characters and staff are great with the kids. It can be a little loud and there are characters walking around between tables and people getting up for photographs and to get food. If you explain to the car park staff you should be able to park in the disabled parking lot which has less walk through busy car parks. You will however have to get through security and ticket gates before you get to the restaurant. We blended into the chaos! The character breakfasts are every Thursday to Saturday from 9 until 11am. When you book breakfast you also get access to a special parade viewing area on the same day. Allow plenty of time to get there as you need to be able to park, go through security screening, walk all the way through City Walk, go through the ticket queue and walk through the park to get to the restaurant.